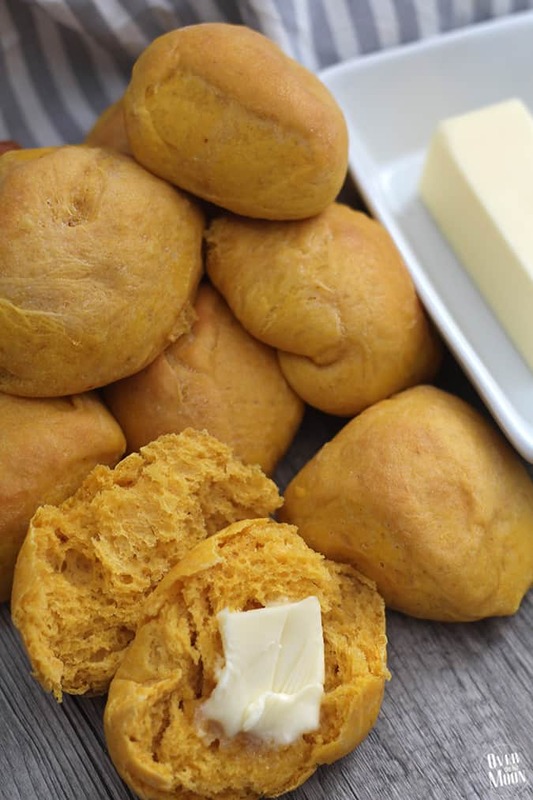 These Pumpkin Dinner Rolls are perfect to serve with meals during the Fall when you’re craving all those yummy pumpkin foods! They’re super easy to make and the flavor isn’t too overwhelming! PUMPKIN ALL THINGS!! That really is my motto in October friends! I’ve shared my Pumpkin Chocolate Chip Pancakes, Pumpkin Soup, and Pumpkin Chocolate Chip Bread so far with you all! 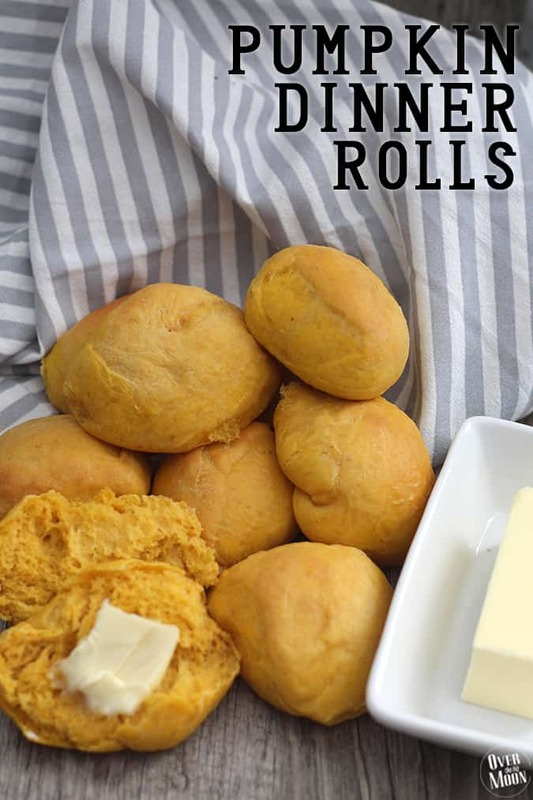 And today I’m excited to share these Pumpkin Dinner Rolls with you guys! The pumpkin taste is subtle enough that you can seriously serve these with ANY meal during the Fall! And they add such a fun color to the standard dinner roll, which really helps make the colors on your table pretty! It’s a super simple recipe, with a couple of rise times. But, even a beginner that has never used yeast can make this! Promise! Warm the 1 cup Whole Milk in a sauce pan, until heated through and bubbling. Remove from heat and allow to cool until lukewarm. In a large bowl combine milk, pumpkin puree, melted (and cooled) butter, sugar, salt, yeast and 3 cups of the flour. Stir until combined. Then slowly add the rest of the flour 1/2 cup at a time. 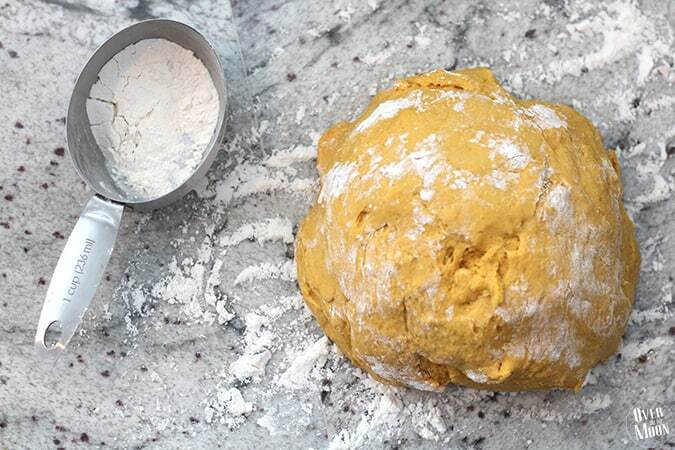 Once combined, lightly flour a surface and knead your dough for 5-7 minutes until fully combined and the dough has a elastic feel. If you’re using a Bosch or Kitchen Aid allow to knead for 3-5 minutes. The dough will be sticky. Oil the inside of a large bowl (you can use cooking spray) and put the dough inside of it. Turn it over, so the dough is all coated in oil. Cover the dough with a moist towel to prevent the top from drying out. Allow the dough to rise for approx 1 hour or doubled in size. Remove the dough from the bowl and cut into quarters. Take each quarter and cut into 4 pieces, making 16. 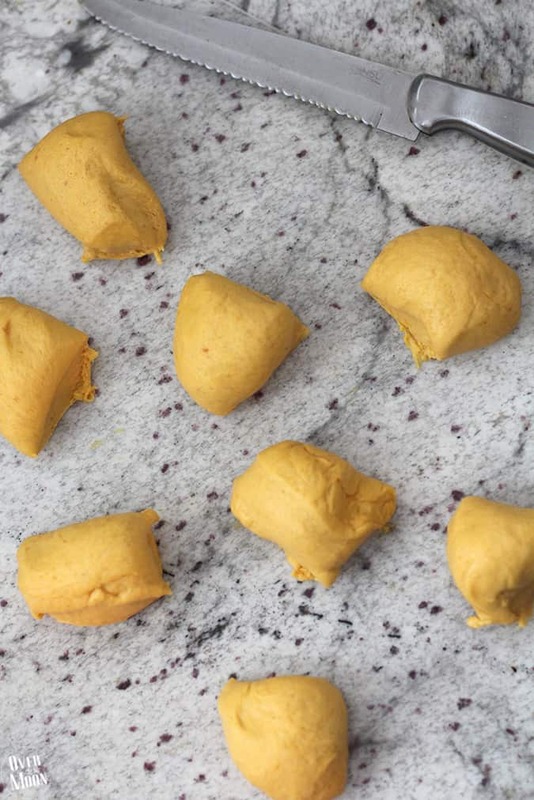 Take each of the 16 pieces and cut in half, making 32 dough balls in total. 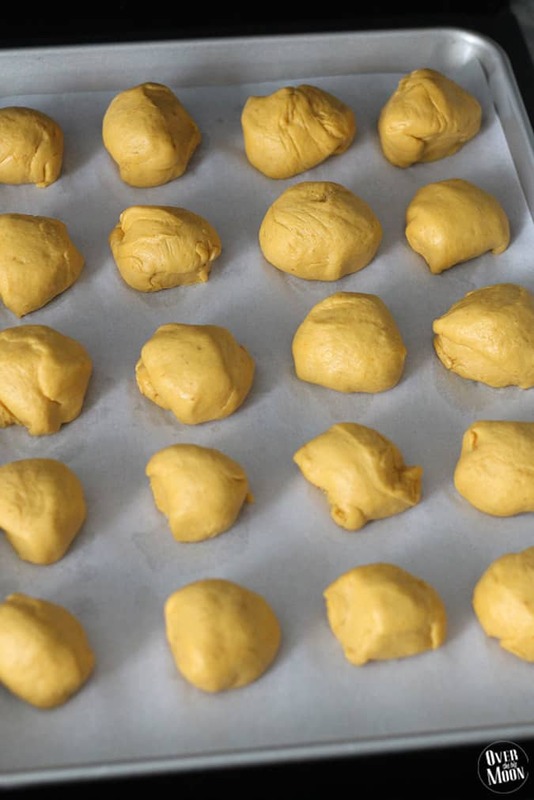 Softly roll each ball and then place them on a baking sheet lined with parchment. Cover them and allow them to rise again for 45 mins to an hour. Preheat your oven to 375 degrees. Bake your rolls for 10-12 minutes or until lightly browned. ENJOY! These rolls are a winner friends! I’m telling you! My kids literally gobble them down like crazy! I even ate 4 rolls while I was photographing them! haha! For real! 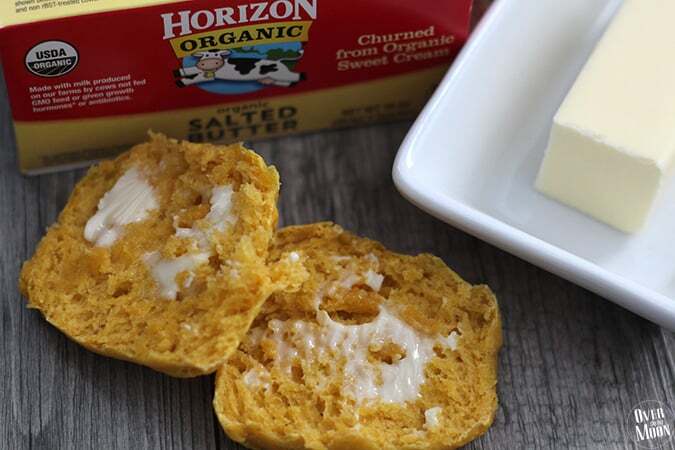 For more awesome recipes using Horizon Organic products make sure and check out their Facebook, Pinterest, Twitter, Instagram or sign up for their newsletter! Also, I’d love it if you pinned the image below! Do you think I could make the dough in my bread maker? These sound amazing!!!! I’ve never tried it, so I don’t think I can say one way or the other. But, if you try it, I’d love for you to come back and report!! Good luck! 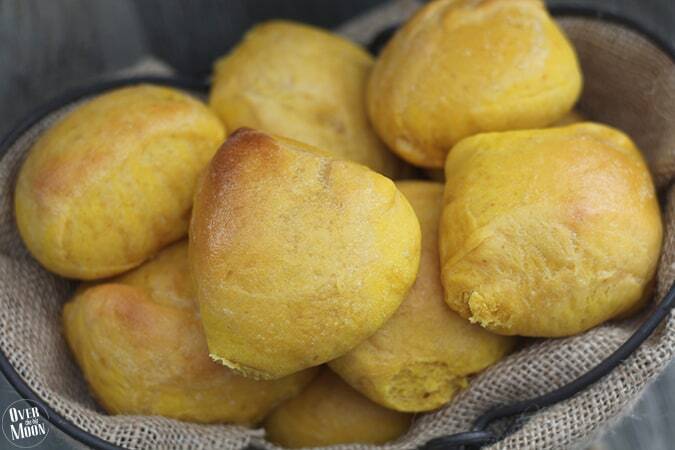 Pumpkin season is my favorite and dinner rolls are always a must. Can’t even handle the combo, it’s just too good! Love the super soft texture of these! 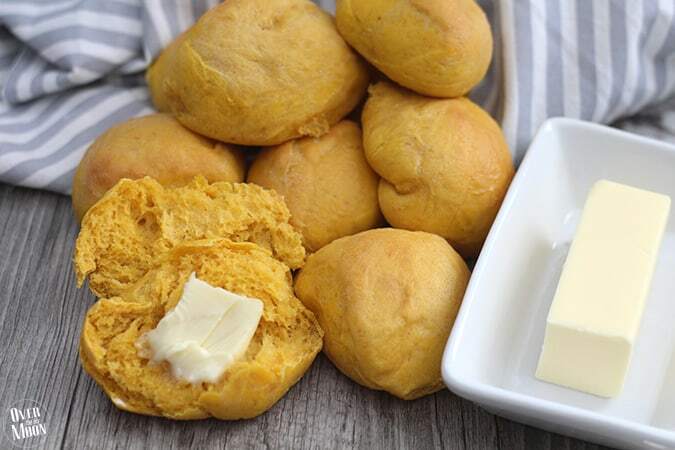 Of all pumpkin things, I’ve never thought of making pumpkin dinner rolls. But they look lovely. Now I’ve got to put this on my things to make! Okay, I’m totally pinning these. 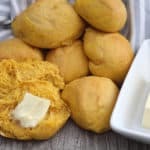 I’ve never made pumpkin dinner rolls but I’m so going to try them!